Click any question to reveal the answer on the topic. We have two locations. You can find the hours and directions here. Do you have book/AV drop? Yes. We have books and AV drops available 24 hours a day at both locations. How long can I take out books/videos/magazines? Loan periods for materials borrowed from other library systems vary depending on their policy. Fines can be paid with cash or check (payable to Milan-Berlin Library District, Milan Public Library, or Berlin Public Library) at any of the help desks. We do not accept debit or credit cards at either of our physical locations, but patrons are now able to pay fines online through their CLEVNET account. Yes. You can call 419-499-4117 or 419-588-2250 during regular library hours. Or, you can now renew them online here. Stop by either location to fill out an application or download an application at home. 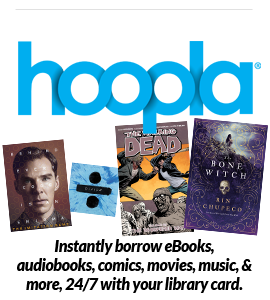 Library cards are available to any Ohio resident. All we require is verifiable current identification. Children age 18 and under, need their parent’s or guardian’s signature on the form before a card can be issued. Cards are not transferable. Cards are honored in any library participating in CLEVNET, the consortium of over 30 libraries based at the Cleveland Public Library, including the following local libraries: Norwalk, Sandusky, Huron, and Ritter (Vermillion). Yes. You can return all your CLEVNET material to any of the participating libraries. Yes. Each of our locations offers free Wi-Fi. The connection will display as clevnet.org. We have computers available for public use on a first-come-first-served basis at both of our locations. Can I use my own software on the public computers? No. You may use only the library’s software on these computers, but they are equipped with a range of Microsoft programs including Word, Excel, PowerPoint and Publisher. This limitation is for your own protection because we do not want computer viruses on our public use machines. Flash drives may be connected through USB ports on all of our computers. We offer a variety of technology-centric classes each month, but at this time, we do not have a set beginner’s computer training course. We do offer one-on-one sessions with our Technology Librarian via appointment, as time allows. Call 419-499-4117, ext. 110 to schedule a session. Yes. The Milan Public Library now has two public meeting spaces. Those residing in the Edison Local School District may use the Milan Public Library Meeting Room or the Milan Public Library Community Room by completing an application prior to use. Individuals interested in using our community spaces may pick up an application at the Milan Public Library Help Desk or the Berlin Public Library Help desk. Please return completed applications to the Milan Public Library. Additionally, the Berlin Public Library has a Community Room available for public use. Download the reservation and policy forms HERE.